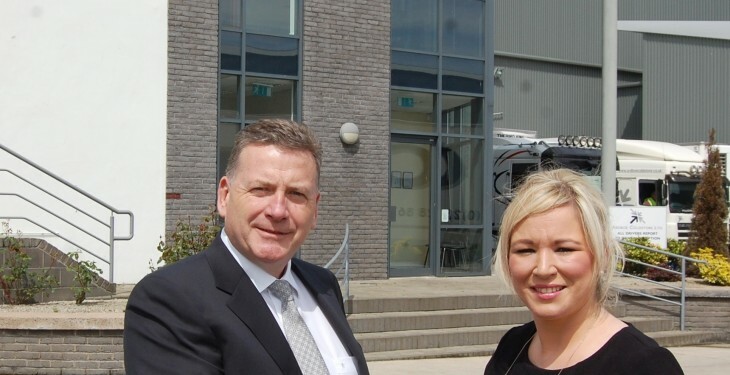 Northern Ireland’s Farm Minister Michelle O’Neill recently visited Tyrone-based Ardboe Coldstore to view the facility which has state of the art temperature controlled warehousing and logistics, servicing the food industry in Northern Ireland and further afield. The company’s services encompass product maturation, blast freezing, uptempering, processing and packing within its broad portfolio. Recently the company completed a £5million investment programme to enhance the Ardboe site, enabling a much increased pallet holding capacity to around 20,000 spaces, all on a modern mobile racking system, affording instant pallet collection. 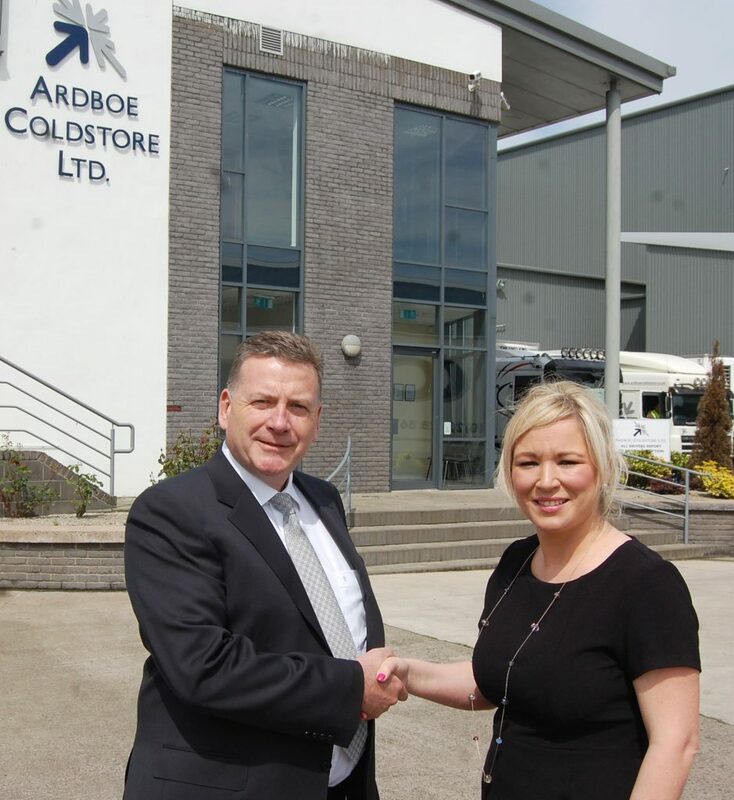 Ardboe Coldstore’s client list comprises a number of blue chip manufacturing and processing companies within Northern Ireland, including the dairy, meat and poultry sectors. 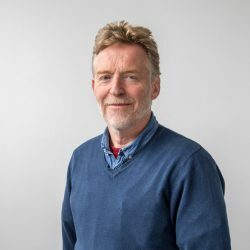 Eugene Carson, owner of the company, commented: “We currently employ 50 people in one of our most economically deprived rural areas and we want to build on this for the future. It is a given that we provide a modern and efficient IT Warehouse Management System that enables stock visibility and total traceability to our clients. Our unique selling point, however, is the dedication and efficiency of our staff who have total focus on customer needs. Mr Carson continued: “We were delighted to be able to host Minister O’Neill to show her around our company and facility and to meet the people who are Ardboe Coldstore Limited.